I've been a fairly happy user of Tom Tom Australia (and Europe) for some time. 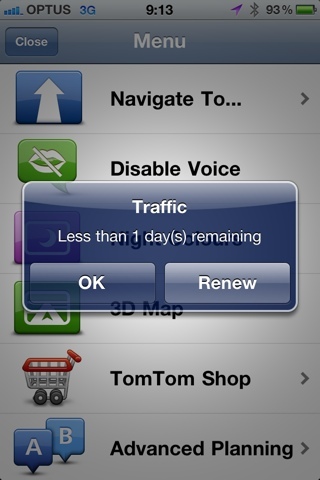 I'm pleased that we'll see an iPad native version soon, and live traffic recently came to Australia. I subscribed to the traffic service for a month ($9) to see if I would take it for a year. Sydney traffic is pretty nasty, particularly on weekends, and I had high hopes. They were dashed. I was in heavy traffic in Pymble for quite some time last Sunday without a peep from the Tom Tom. However, Google Maps showed it (for free). In all, it was sometimes helpful, but if Google can do it for free then Tom Tom should do better.